Defense Minister summarizes war at economic conference, says budget cuts to come - and Hamas's arsenal not entirely gone. Israeli Defense Minister Moshe Yaalon said on Tuesday that the direct cost of the 50-day military offensive in the Gaza was more than $2.5 billion (1.9 billion euros). economic conference in Tel Aviv. "We attacked over than 6,000 targets, more than 5,000 of them by the air force, about 900 from land and sea," he said referring to tank, artillery and naval fire. But, despite the pounding, he acknowledged that the Gaza militants against whom the campaign was launched on July 8 still had a sizable arsenal left. 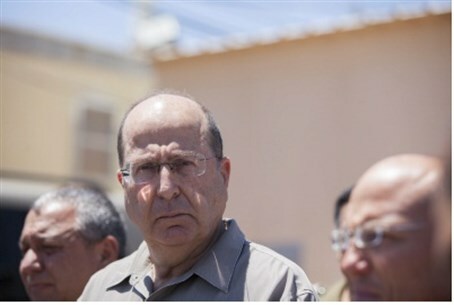 "The terror organizations in the Gaza Strip -- Hamas Islamic Jihad and others -- had 10,000 rounds at the beginning of Operation Protective Edge," said Yaalon. Dome missile defense system cost $100,000. The government on Sunday approved swinging budget cuts to help pay for the campaign in Gaza. Ministers voted to cut two percent from the 2014 budget of every government ministry - other than defense - to raise about two billion shekels. Sixty-six Israeli soldiers were killed during the wat\r, as well as six civilians, including a Thai worker and a four-year-old boy. The war ended with an open-ended ceasefire last Tuesday and the sides are supposed to start Egyptian-mediated negotiations on a long-term truce, but a date is yet to be announced.